If you are concerned about security and want a surveillance system that is discreet and easy to use, the STEALTH1 DVR is for you. The STEALTH1 is Defender's do-it-yourself, wire free, covert DVR system with a built-in color camera for use in your home or business. With the STEALTH1 you can watch over your business, family, or valuables after-hours or if you are not at home. 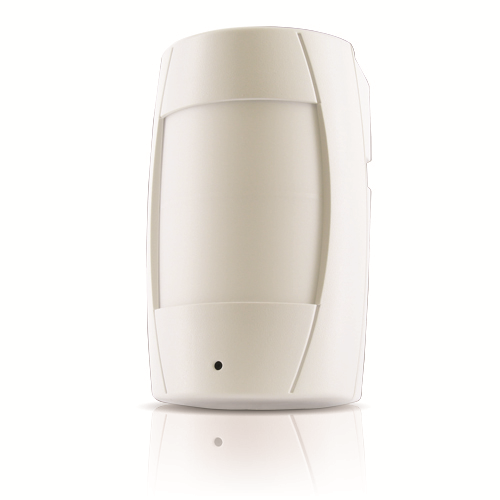 It is disguised as a motion sensor but also contains a built-in camera which records directly to the included SD card. Because of the STEALTH1's conventional appearance it can be used to supervise your home or business completely undetected. This system is extremely user-friendly and you can have it up and running in a matter of minutes because everything is truly plug and play. Auto-resume recording ensures that the STEALTH1 will automatically resume its recording schedule if power is lost and then restored. Capture high quality digital video and record directly onto the included 2GB SD card. The STEALTH1 is also SDHC (Secure Digital High Capacity) compatible up to 32GB (not included), offering up to almost 2 full years of continuous recording. Power the camera completely wire free by using 4 AA batteries for up to 17 hours in standby mode, or 12 hours of continuous recording (lithium batteries recommended). An AC power adapter is also included to power the system with a constant power feed. Motion activated recording settings let you choose to only capture important video footage and record only when necessary. Simply set the sensitivity to your desired level. It will save you time and conserve SD memory so you can monitor for longer time periods. The STEALTH1 offers a live-view mode. You can view video footage by connecting to your TV, or remove the SD card to view or archive all recorded video on your computer. This is also useful for submitting to law enforcement or security professionals if your video footage is needed. You get to choose what happens to your stored video footage once the SD card becomes full. The overwrite option will automatically delete old video footage and replace it with newly recorded video. This will result in consistent recording even when the SD card is full. If you do not wish to have previous video footage deleted and replaced, you can select a full stop option which will halt all recording once the drive is full, with no video footage being replaced or deleted. The convenience of the STEALTH1 is that you can discreetly monitor areas of your business or home. Have the advantage of discreetly monitoring an important location in your business, such as your cash register, stock room, aisle ways, safes, or any other important area. The STEALTH1 captures the date and time of recorded video footage in all recording modes so that it is always clear when your recorded video footage took place. The search feature makes it easy to find video footage quickly and efficiently. Searching by time and date allows you to find and play back the desired day, hour, and minute of captured video. The STEALTH1 records to the included SD card in MPEG-4 compressed video. This allows hours of recording without any sacrifice in quality, and in a format common to most computers. This makes reviewing, backing up, and archiving on your personal PC very easy. The STEALTH1 has the capability to be used in North America as well as overseas. The power source is a switching adapter so you can use it almost anywhere in the world. The unit itself is compatible with NTSC (North American Standard) and PAL (European Standard) video modes, and there is a switch on the back of the unit that allows you to select either option depending on where you are in the world. This system is compliant with RoHS standards. RoHS stands for Reduction of Hazardous Substances, and is a European initiative that was developed to reduce the use of hazardous materials in electrical and electronic equipment. RoHS compliant means that Defender has taken the initiative to reduce the use of hazardous materials in the production of this security system. System does not support audio. SD card reader needed to view footage on a computer. 5" x 3" x 2.75"